New Year’s acts of charity became the visiting card of “Rakhat” JSC. 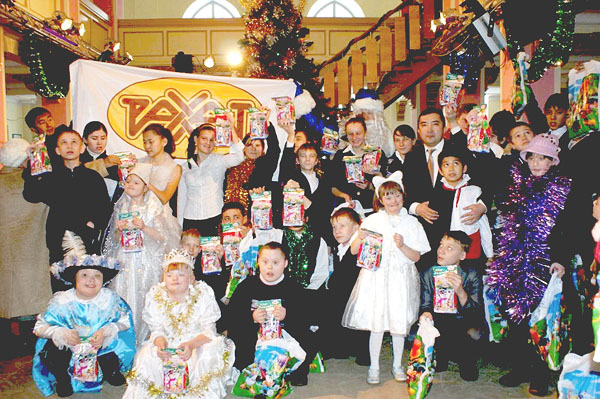 Dozens of different educational organizations received the gifts for New Year holidays and Christmas season. Among children, who are under our wardship, are the inmates of No. 1 children’s home (Baganashyl settlement), No. 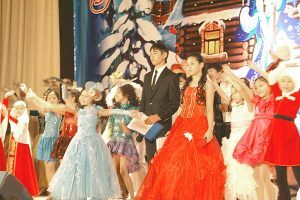 7 auxiliary boarding school, “Zhanuya” specialized complex, No. 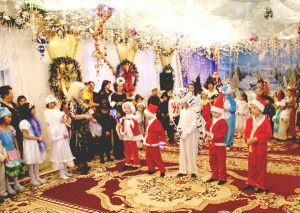 3 child home, “SOS Children’s village in Almaty”, physically challenged children from “Special Olympics”,New Year’s acts … “Ile sazy” children’s creative team, pupils of Krupskaya school (Ulan village of Karasai district) and many others. Grown people felt the caring of themselves as well. Sweets were sent to Kazakh institutes for the blinds, to Committee of veterans in Medeuskiy district, to society of invalids in Turksibskiy district, to Association of former fascism prisoners of Kazakhstan and others. New Year’s acts …People of different religious opinions were not without attention. Gifts were sent to mosques and Orthodox Churches.